Some people think that car insurance prices are about the same and getting a good deal is difficult. If you have been with the same insurance carrier for years and have never compared rates to see what deals are available, then you are probably paying too much. There are a few factors that go into getting a great deal that you should be aware of. The better your driving record is, the cheaper your insurance rates will be. Conversely, the worse your driving record is, the higher your rates will be. Insurance companies place extra close attention to reckless driving offenses and in many cases will terminate or not insure you for having 1 or more DUIs. If you get a ticket for not wearing a seat belt or not using a turn signal don’t worry, your rates are not likely to go up. If you are issued a ticket for speeding or running a red light, for example, always go to traffic school and get the points knocked off. Driving school is not as bad as it seems. You will be watching videos, meeting new people, and almost always eating junk food. The best way to get good car insurance deals is to be a good driver. Car Insurance accidents are less frequent in the country, and thus insurance rates are so much cheaper there. If you just live 10 or 20 miles outside of a big city, then you could save hundreds yearly on automobile premiums. Also, be aware of areas that have the highest rates of auto theft such as the central valley in California and New Jersey. You might be able to find cheaper housing in these areas but if your car gets stolen every couple years and you have to pay to double what others are paying for car insurance, is it worth it? The Midwest has some of the cheapest insurance rates on average. States like Wisconsin, Nebraska, and Iowa. It might be cold in these areas but at drivers get big breaks on insurance pricing. If you cannot or do not want to move to a cheaper area, there are several things you can do to keep your rates low. These include installing security devices on your car and parking your vehicle in a garage. Also, if you limit the amount of miles you drive, you can always get a lower rate by asking for a low mileage discount. The higher your credit score is; the lower your vehicle insurance costs will be. If you always pay your bills late or not at all, then an insurance company will expect that same type of irresponsible behavior to continue and will price your policy upwards. In a worse case scenario, your credit might be so bad that you will have to pay not only more for your premiums but all of your policies costs up front, with no monthly payment options. Having and maintaining an excellent credit score will get you cheap auto financing and more affordable insurance. If you are tight on money, and your kid just turned 16, well it might be smart to wait a year or two before you add him or her to your policy. 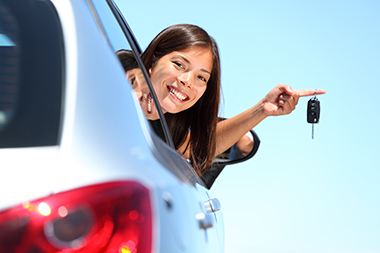 Adding teenagers can turn a good auto insurance deal into a bad deal instantly. If a teenager has points already on their record, then they need to get those removed before you even think about adding them on. With teens now not only talking while driving but also texting, insurers have been forced in recent years to raise rates for this age group. If you insist on getting insurance for your teen, Loya Insurance has some of the lowest rates nationwide. Get a free Loya quote today and see what deals are available. Get your personal info together and spend just one hour applying for auto insurance quotes. You need to get a mix of both large insurance carriers and smaller companies who do not have as much brand recognition but often will have cheaper insurance. When you apply for a quote, see what discounts such as military or college that are available to you. If you find a better deal than your current insurer, call them up and see if they will match your price quote. If they won’t, then it’s time to switch. Loya Insurance company can get you deals on any car or motorcycle, and we have discounts for nearly all drivers. Go online now and see how easy it is to save up to $575 in a matter of minutes.